As frustrating as it can often be, competition is healthy for your brand. It pushes you to become better, to deliver better content and establish stronger connections with your audience. Your competitors don’t have to just be a nuisance, transform them into an asset by monitoring their own marketing efforts. 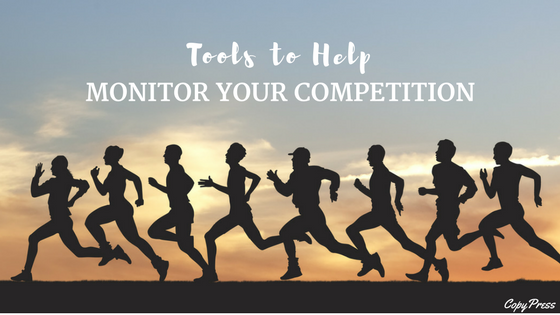 Here are nine tools that will help you monitor your competition. Image via Flickr by Axon Engineering S.A.
Google’s competition-monitoring tool enables you to watch the entire Internet for specific content. We’re talking so specific that you can receive alerts for content containing industry keywords or information on your competitors. You can also customize your alerts, from how often you receive notifications, to the types of sources you’re alerted about, and so on. Google Alerts isn’t only good for keeping up on the competition’s content. You can also use it to stay current on trending popular content and keywords, which you can then use to tailor content toward your audience. If you run a page for your company on Facebook (and if you don’t, you really should), then as an admin, Facebook allows you to watch the pages of your competitors. But simply setting up a page isn’t enough. Your brand’s page must have at least 100 Likes before you can use “Pages to Watch.” Think of it as a reward for your current social media marketing efforts. Set up your list by going to “Page Insights,” scrolling to the bottom, and typing the name of competitor or competitors that you want to monitor. From the central hub, you can see the competitor page’s level of engagement, its follower growth, its amount of posts for the week, and even how many Likes the page has. With a single click, you can also see the top posts of your competitors page and potentially find what your own content may be missing. When viewing those top posts, you can view comments and your competitor’s response to those comments. Maybe you’ll find ways to improve your own audience engagement. Facebook will also suggest pages to watch so you can gain even greater awareness of your competition. If you haven’t already gotten in on the social media hub that is Hootsuite, now is a great time to start. Hootsuite includes a handful of in-platform apps aimed at improving user experience. TrendSpottr is one such app, but it doesn’t only improve user experience, it also allows you to keep track of your competitors. With TrendSpottr, you can establish multiple streams in your Hootsuite dashboard and watch trending industry topics, keywords, influencers, brand reputation, and more. Hootsuite also allows you to listen in on social media, where you can find potential customers who have been dissatisfied with your competitors. You can then reach out to those disaffected users and provide them with whatever they were missing with your competitor. Alexa is an analytical tool that allows users to break down other companies, especially in relation to their website performance. Through Alexa, you can see how your competitor’s website ranks on a global scale, as well as what keyword searches are directing traffic to the website and which of the competitor’s pages are generating the highest engagement. Alexa will compare up to 10 sites at once, which allows you to identify market trends and anticipate changes. Alexa can also point you toward sites that share your audience, using its Audience Overlap Tool. 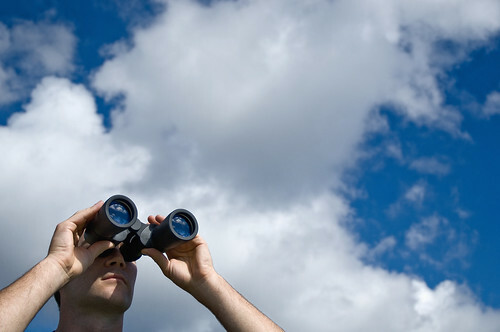 In addition to helping you keep an eye on the competition, Audience Overlap reveals potential partnership opportunities. You can use non-competitor sites for guest blogging, influencer outreach, and whatever else your strategy demands. SEM Rush reports on every facet of a competitor’s digital marketing performance. Without any payment at all, you can view their website rank and traffic-driving keywords. You can also view the AdWords and video ad campaigns that your competitor is using. In addition to competitive analytics, SEM Rush will also help you improve your own SEO with technical SEO audits and by providing ideas for driving more organic traffic to your site. Want to make the most of your PPC efforts? SEM Rush will also give you ad strategy analysis, ad keyword research, and more. SEM Rush even goes beyond SEO and looks into your social media, analyzing how audience and engagement changes over time as well as how your social media efforts compare to your competitors. As a cherry on top, SEM Rush helps you improve your own content by discovering trending topics, augmenting content according to audience engagement analysis, and more. It’s an all-in-one tool. MWP’s Video Marketing Comparison tool is one of the few social analytics tools that accounts for YouTube in its analysis. Using MWP’s tool, you can compare data coming in for your YouTube channel to up to 10 other channels. The tool also allows you to customize how you receive data, whether you prefer to view it in-browser, or in an email. The comparison will display how your channel ranks among your competitor’s channels based on channel views and comments, subscribers, shares, likes, and more. You can also use the tool to see a more close-up picture of the channel by viewing each channel’s top video and the individual statistics tied to that video. MWP’s tool doesn’t only compare your video content to the competition, but it takes it a step further by helping you improve your overall video marketing strategy. The tool gives you insight into your audience and provides you with suggestions that will ensure your video content reaches the right people in the best possible manner. Klear is a social listening and competitor research tool that lets you watch competition across Facebook, Twitter, and Instagram. Klear’s free version provides some less data than the full plan, but you can still learn plenty without paying a penny. All you need to do is plug the name of your competitor into the search bar and you’ll gain access to their social media information, including their influence level, the reach of their posts, the topics on which they are influential, and even data about their audience distribution across the social platforms. Klear also provides very specific “Insights” that allow you to determine how you can augment your content to pick up where your competitors fall short. For example, if Klear’s Insight designates your competitor’s content as a “One Trick Pony,” meaning much of their content is similar, you can focus on developing particularly unique content that reaches audiences who are looking for something fresh. You can also view a competitor’s top post to see on which platform your competitor is finding the most success, and even down to when the content was posted. Finally, Klear additionally provides specific, detailed demographics about your competitor’s audience, from gender, to age, to income, and more. Using that information, you can identify differences between your audience targeting and your competitor’s and potentially identify holes in your own targeting. Some marketers avoid using Snapchat for their content marketing because of its lack of metrics, at least compared to those of other social media platforms. Fortunately, Snaplytics makes up for Snapchat’s lack of analytical tools by providing you with substantial insights into your competition. After connecting your competitor’s Snapchat account to Snaplytics, you can have access to information like how many stories your competitors have and how often they share, as well as the duration of their content. Snaplytics even provides you with your competitor’s posting history, down to the times they posted and the subsequent results. Such information helps you narrow down how to reach your own audience. Who knows, these analytics may help you solve an issue that’s been plaguing your team for months. Not sure if you’re ready to invest in a Snapchat analytical tool? Snaplytics gives you at 14-day free trial so you can test the waters. If it meets your expectations, you can enroll in the plan of your choosing. You and your competitors likely use similar tools to improve content, SEO, and the like. It’s not necessarily the tools that set you apart from your competition as much as how you use them. Keywords are one such tool. Anyone can use them, but it takes some help to change them from groups of letters to traffic-driving powerhouses. KeywordSpy is that help. By analyzing your competitor’s keyword usage, KeywordSpy helps you find ways to get in on the success that your competitors are experiencing. KeywordSpy gives you such specific feedback as how much a site is spending on AdWords and what kinds of keyword and ad copy combinations are the most profitable for your competitors. KeywordSpy then builds you a list of the most profitable keywords. Once you implement keywords into your own content, KeywordSpy tracks how your keywords perform across the web. If you’re not sure that KeywordSpy is right for your brand, take it for a spin with a free trial. There are plenty of tools out there to help you monitor your competition, but what do you do with all that new data? Use it to solve problems in your own strategy and to push you ahead of the pack. Contact websites that link to your competition and build relationships with them. Avoid the marketing mistakes that left your competitors behind. Connect with dissatisfied customers through social media listening. Use the power, but use it wisely.